Pebble Creek Ski Area’s slopes sit nestled along the northwestern slopes of Mount Bonneville, the highest mountain of the Portneuf Range in Caribou National Forest. 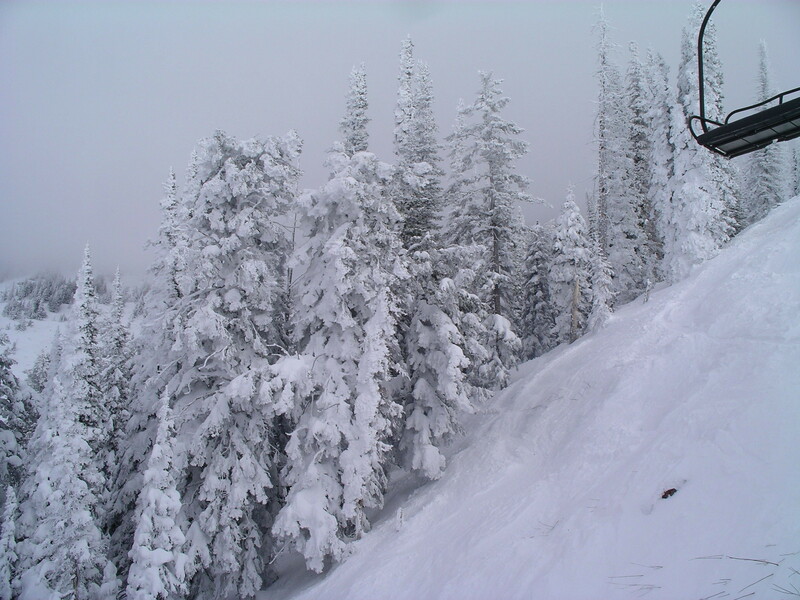 Just outside of Pocatello, Idaho, skiers and riders have access to 1,100 skiable acres with a 2,200 feet lift-serviced vertical. Three triple chairs service 54 named runs, with terrain ratings of 12% beginner, 35% intermediate, and 53% advanced. There is also a 1,098 meters USAA Giant Slalom run and 565 meter USAA Slalom run. Cafeteria-style dining and saloon. PSIA / AASI lessons for those wanting to ski or board along with breakthrough clinics available. Night skiing offered in the beginner area on Friday and Saturday. Rental shop and first aid.